Setup the Auto Action Trigger. 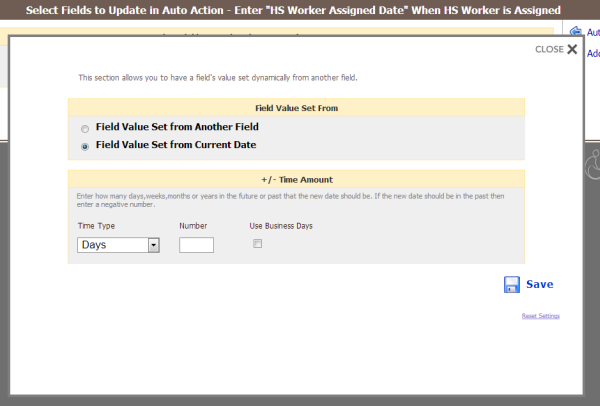 Enter the Fields that will be updated once the Auto Action is triggered. You will select the table, then a field. Select a value to be entered. 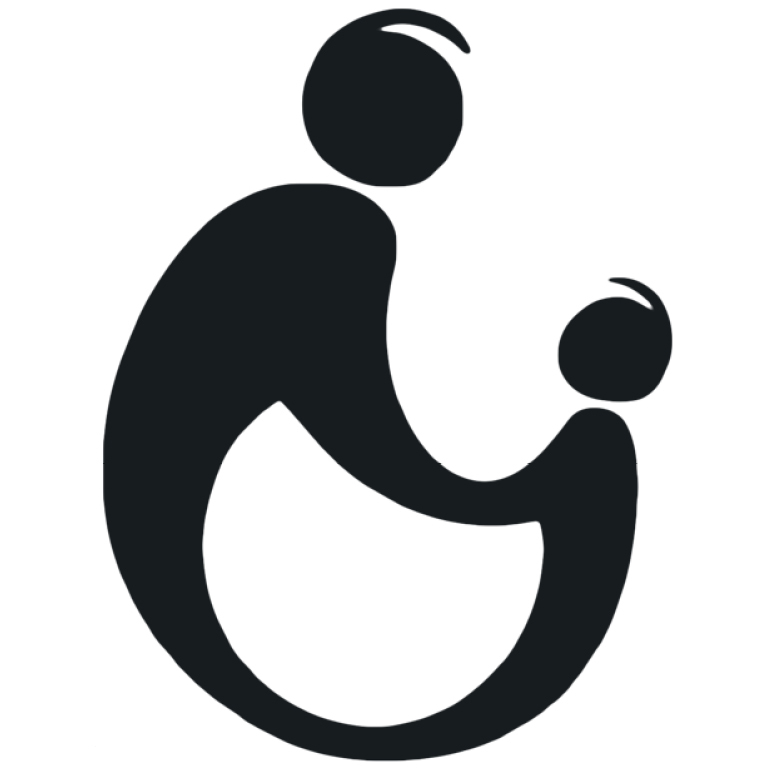 In some cases, you may need to set the value being updated from a value of another field. The gear icon is used to do this. 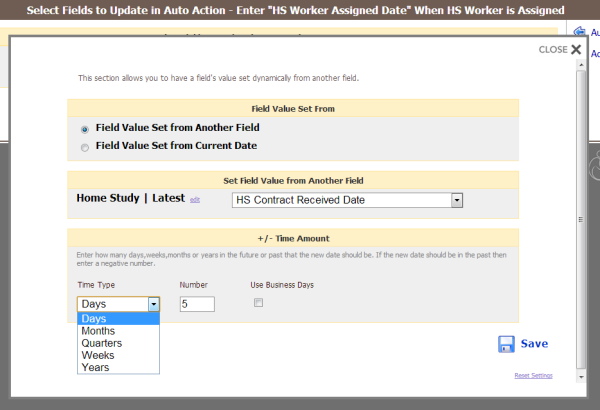 Often Date fields will need to be set as the Current Date or based off another date field.